After months under ’house arrest’ keeping the weight off my feet after badly breaking my right ankle, the bid to get back behind the wheel again took on something of the quest for the Holy Grail. 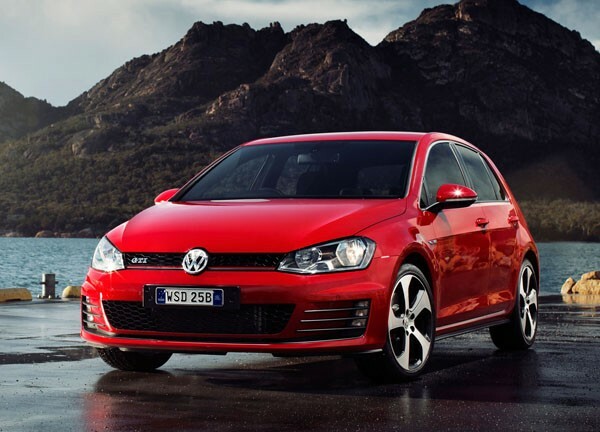 What better way, then, to get back in the groove than with the 2013 World Car of the Year, the Volkswagen Golf GTI. 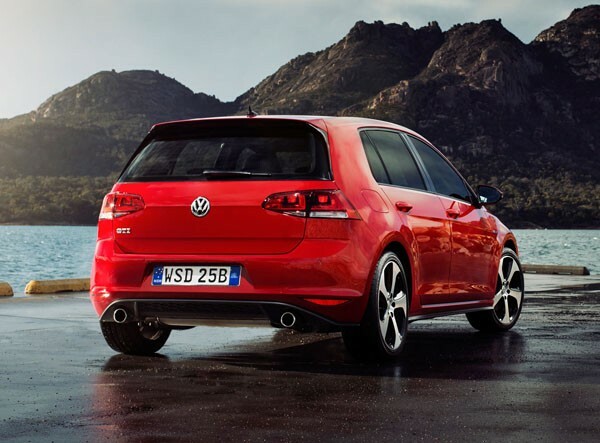 When it first came out in 1976, the VW Golf GTI scraped together 81 kW of power all up; the latest model, with its 2.0-litre four-cylinder turbocharged engine produces double that (162kW), together with 350Nm of torque, giving it a zero-to-100 km/h sprint time of 6.5 seconds. 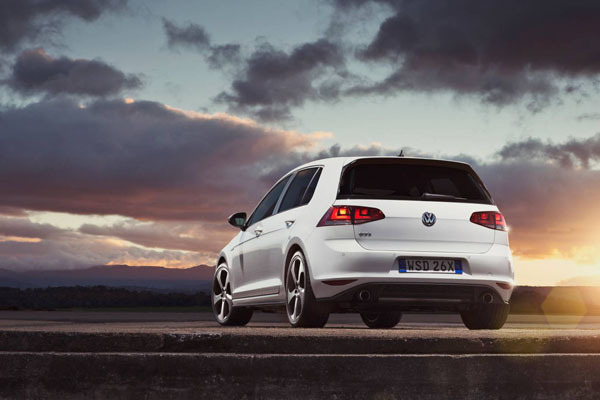 BlueMotion and stop/start engine technology, with the choice of a six-speed manual or six-speed DSG automatic transmission, make it much cleaner too with carbon dioxide emissions of 144 grams and 153 g per kilometre respectively. 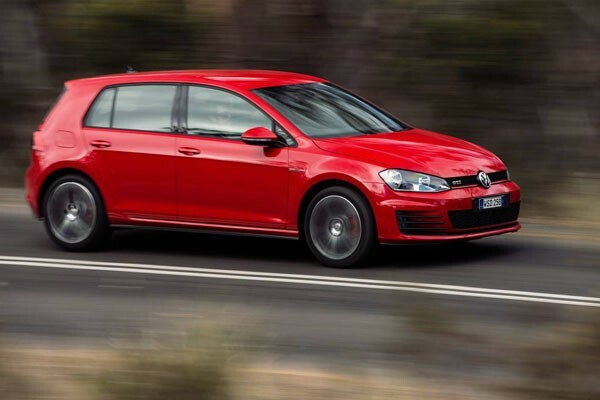 Unlike many of its edgy hot hatch rivals the Golf GTI test car, despite its assertive Tornado Red paint, has a surprisingly restrained street presence not too far removed from its less potent siblings; red lines and chromed ‘GTI’ lettering on the grille and flanks one of the few things to give the game away. Red painted brake callipers peep out tentatively from behind 18in sports-style wheels, while chrome tipped twin exhausts and smoked rear lamps are further laid-back distinguishing features. Inside the cabin rear seat leg room is adequate without being exactly welcoming for the vertically stretched, while head room fairs better. The 380 litres of boot space (1270 litres with the rear seats folded) handles most day-to-day cargo needs. 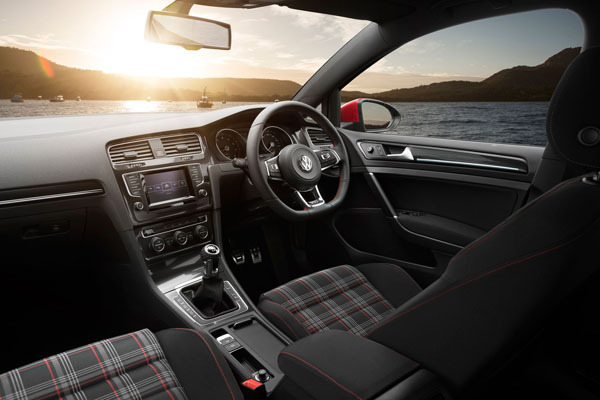 A leather wrapped flat-bottomed sports steering wheel carries multifunction keys, red ambient lighting strips draw attention to the doors and stainless steel door sill guards, and brushed stainless steel pedals set the GTI apart from the rest of the Golf family. The test car included VW’s Driver Assistance Package which, among other aids incorporates the hands-free parking system, taking over the steering control, putting the vehicle in any suitable space. It’s a unique barbecue stopper, handy for relegating subjects such as politics to the back burner where they belong. On the move, the hot little Volkswagen hatch was perfectly happy to saunter around town in a manner guaranteed not the put the frighteners on granny in the back. 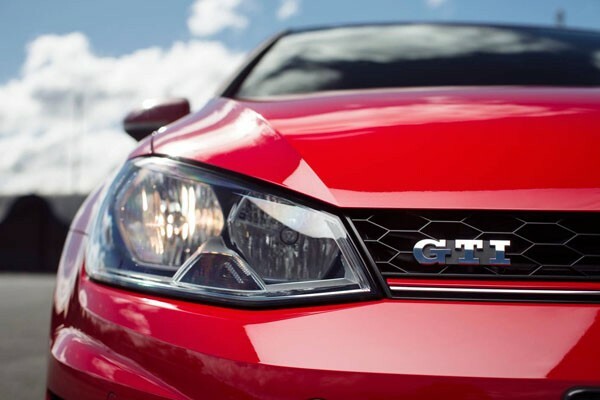 However, when it came to playtime, the latest Golf GTI was capable of mixing it with the best to come out of the hot-hatch foundry. Stopping was at the upper end of sharp, the brakes biting enthusiastically like a ravenous schoolboy with a cheap burger; the firm suspension picked up every blemish on rough roads but kept the car on an even keel even when pushed to the limit. The latter was particularly so with the car in the ‘Sport’ Driving Profile, which is changeable at the push of a button on the centre console, the driver also having the option of choosing between Normal, Eco, Comfort and Individual. Normal offers a comfortable but dynamic driving style; Sport provides faster accelerator pedal and steering response, while the DSG switches to Sport mode; Eco, as the name suggests, enhances fuel efficiency by including a coasting function with DSG and by adapting engine performance, producing earlier gearshifts and economical control of air-conditioning. Comfort dials up a more relaxed and comfortable driving experience through a softer suspension setting of the adaptive chassis control; Individual allows the driver to separately set various parameters including steering, engine, Adaptive Cruise Control and air-con. The driver’s seat was a snug fit, offering me plenty of lateral support when whipping the car around tight corners or sweeping bends. Broader bodies than mine might not have been so comfortable. 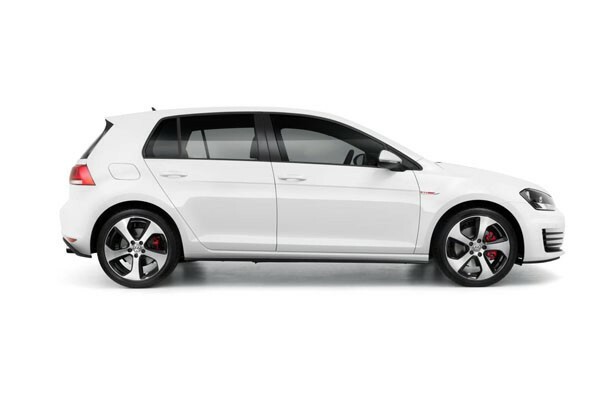 Starting at $43,990 for the six-speed manual, the DSG automatic GTI test vehicle fitted with panoramic sunroof, bi-Xenon headlights, Vienna upholstery and Driver Assistance Package, which includes Adaptive Cruise Control, Front Assist with City Emergency Brake function, Park Assist 2, parking bay and parallel parking assistance Proactive occupant protection system will set back the buyer $52,440. 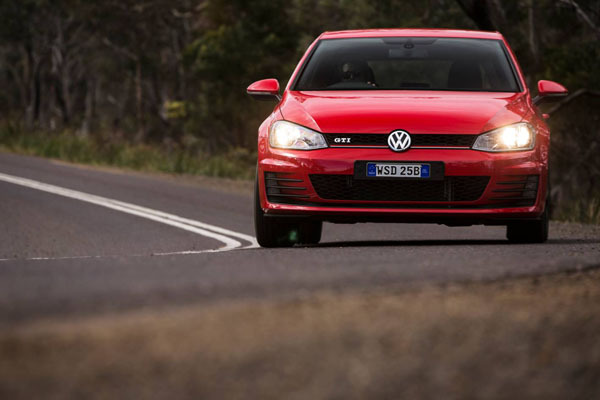 The Volkswagen Golf GTI has always been close to the heart of the Aussie hot-hatch fan and with its seventh iteration there’s little here to show there should be any change of heart. Note: These prices do not include government or dealer delivery charges. 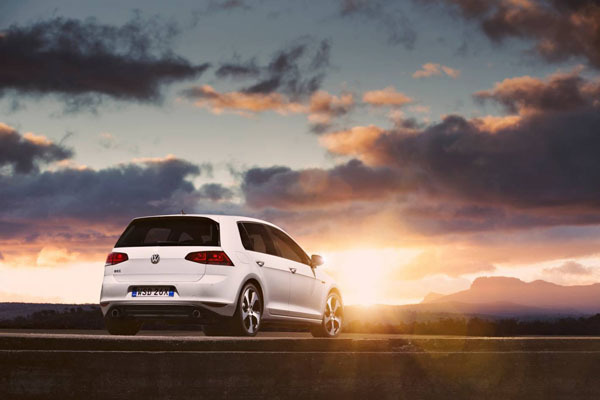 Contact your local Volkswagen dealer for driveaway prices. Rear Suspension: Independent, four-link with coil springs. Anti-roll bar.